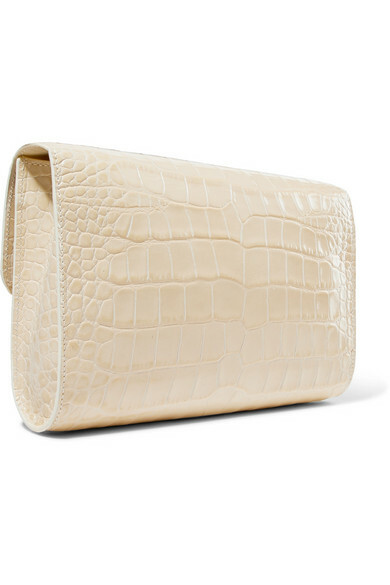 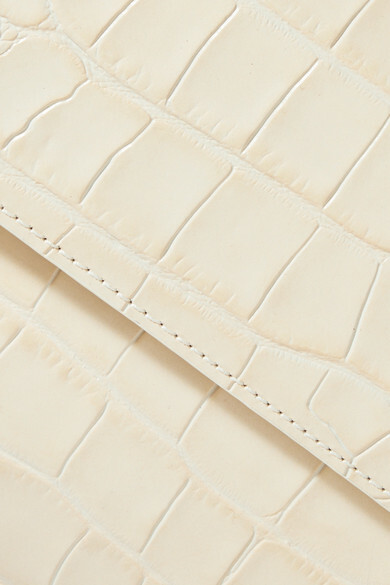 BY FAR'S minimal 'Cross-Over' bag is made from croc-effect leather in a versatile cream hue. 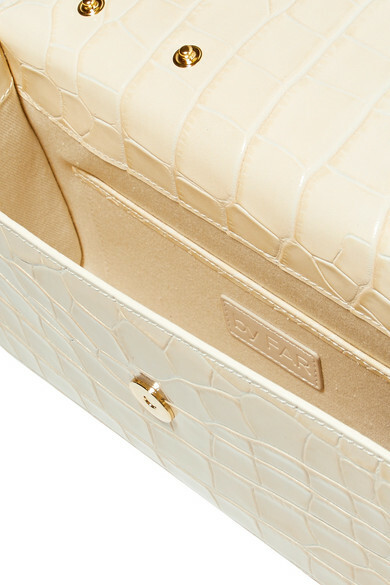 Made in Spain, it has a rectangular silhouette with a simple snap-fastening front flap that nods to retro styles. 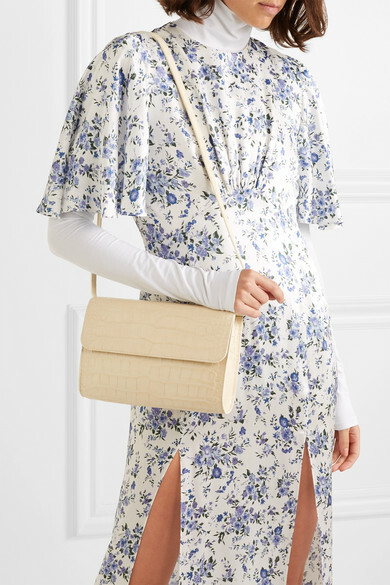 Wear yours cross-body or detach the strap to carry as a clutch come evening. 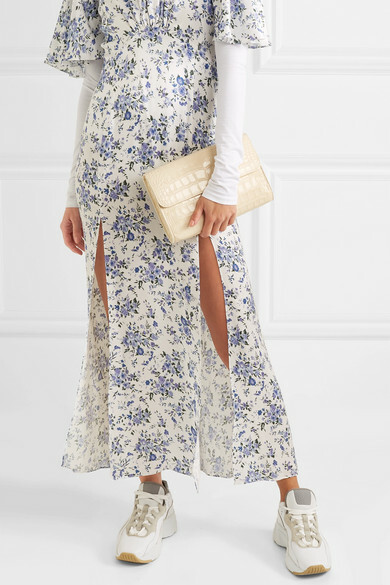 Shown here with: Les Rêveries Dress, Acne Studios Sneakers, Wolford Bodysuit.